The 30th Annual Miss Pacific Islands Pageant Organising Committee has officially announced the contestant for this year’s event which will be held in the home of the pageant, Apia, Samoa. The pageant will be staged from Sunday 27 November to Friday 2 December with theme, ‘Celebrating our History and Embracing our Future’. Eight beautiful contestants are vying for the crown, with the pageant night to beheld on Friday, December 2 at 7pm at Gymn 1 in Tuanaimato. Competing this year are contestants from the Pacific Islands of American Samoa, Cook Islands, Fiji, Nauru, Papua New Guinea, Solomon Islands, Samoa and Tonga. Miss American Samoa – Antonina Keka Lilomaiava, 19 years. Employed at the America Samoa Visitors Bureau. 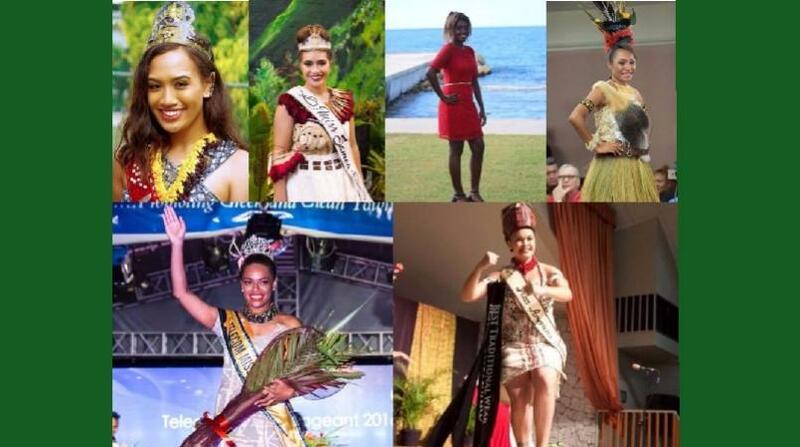 Miss Nauru – Lucina Detsiogo, 19 years. ICT Assistant Technician of the Nauru Government. The contestants will begin arriving towards the end of this week before the start of the Pre-Pageant week on Sunday November 27. Corporate tables and general admission tickets for the event are now on sale at the STA Visitor Information Centre in Apia. The Miss Pacific Islands Pageant 2016 Committee acknowledges the kind support of Sponsors; Taumeasina Island Resort, Tanoa Tusitala Hotel, Koko Pacific by Eveni, and the Government of Samoa.